New Jersey’s 4th largest city, Elizabeth, is soon to become one of several municipalities in New Jersey to offer photo identification cards for the undocumented immigrant population, and other underserved members of the community such as homeless persons. On Tuesday, city council members voted unanimously to approve a city ordinance benefitting undocumented immigrants who do not have any form of photo identification. A second and final vote on the ordinance is expected next month. According to the U.S. Census nearly half of the residents of Elizabeth, New Jersey are foreign-born persons. Elizabeth is only one of many cities in New Jersey that has considered adopting a municipal identification card program. 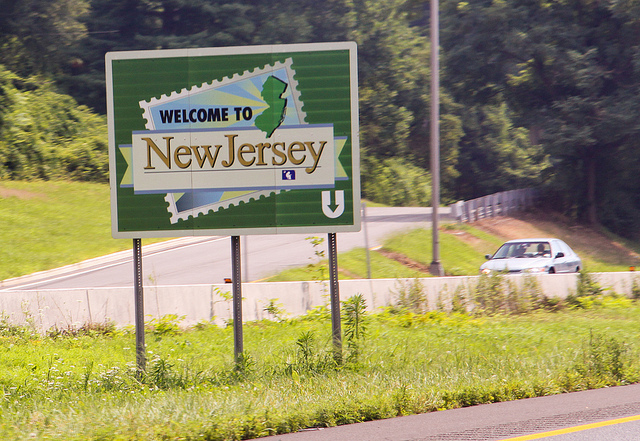 Recognizing that New Jersey is home to a large population of undocumented immigrants, various cities in New Jersey already have a municipal identity card program incorporating the undocumented immigrant population into society. New Haven, Newark, Roselle, Perth Amboy, Highland Park, Asbury Park, Trenton, and many other cities have adopted some form of municipal identification card. The photo identification cards will provide basic information including the person’s name, date of birth, address, and an expiration date. Only persons 14 years of age or older will be able to obtain these photo identification cards. Although these cards will not be a form of federal identification, and do not confer any type of immigration benefit, or employment authorization, having access to a photo identification is very important for the undocumented immigrant population for various reasons. First, it is nearly impossible to obtain certain benefits without a valid photo identification. For example, many undocumented immigrants are unable to open a bank account, access basic government services, enter government buildings, fill prescriptions, obtain medical care, enroll in adult courses, or receive state benefits they are entitled to, but cannot receive without presenting a valid photo ID. Second, this measure will be especially important for persons who cannot obtain a driver’s license, passport, or other government issued ID by any other means. Third, because many undocumented immigrants cannot open a bank account since they do not have a form of identification, undocumented persons are often targeted as walking ATMs because they carry large amounts of cash. Recently, many undocumented immigrants chose to obtain a Consular ID card known as a ‘matricula consular’ which can be obtained from any Mexican consulate in the United States, as a form of valid photo identification. Many states however refused to recognize the validity of these cards, which left undocumented immigrants with little resolve. Presently in New Jersey, undocumented immigrants cannot obtain a driver’s license and therefore typically do not have any valid form of identification. The good news is that these new municipal cards will be recognized by city agencies, police, businesses, and banks. As an incentive, various local businesses will be offering discounts to persons holding the new municipal cards. These cards will also double as library cards. Cardholders may use their cards to identify themselves during routine traffic stops, or obtain medical care at city hospitals. The municipal cards will be relatively easy to obtain. Applicants will need to prove their identity and residency in the city of Elizabeth. Secondary documents such as letters from social service agencies will be accepted during the application process. The council will hold its final vote on this measure on November 9th and issuance of cards is expected to begin December of this year. It is predicted that approximately four to five thousand residents will receive the municipal cards during the first year. Municipal ID cards are not unique to New Jersey. Many states now offer similar programs, such as New Haven, Connecticut’s Elm City Resident Card, and the IDNYC Municipal ID Card program for residents of New York City. Other states have enacted laws authorizing undocumented immigrants to obtain driver’s licenses. These states include California, Colorado, Connecticut, Delaware, Hawaii, Illinois, Maryland, New Mexico, Nevada, Utah, Vermont, Washington, and the District of Columbia. To obtain drivers licenses in these states, applicants must provide certain documentation as evidence of their identity and residency in the state. Generally, states have allowed applicants to present secondary documents making the application process easier. Most states require applicants to present a foreign birth certificate, foreign passport, consular card, and evidence of residency in that particular state. Overall, granting undocumented individuals identification cards and driving privileges has kept American roads safer and the public at large safer. Undocumented persons feel that they are more connected to the society when they are able to go about their everyday lives without having to worry about having access to basic resources. More for more information about the state’s offering driver’s licenses to undocumented immigrants please click here. To learn more about the immigration services we offer please visit our website.